This scenic island off the coast of Maryland is home to fewer than 3,000 people and a popular destination for Baltimore and Washington, D.C. residents looking for a weekend escape. 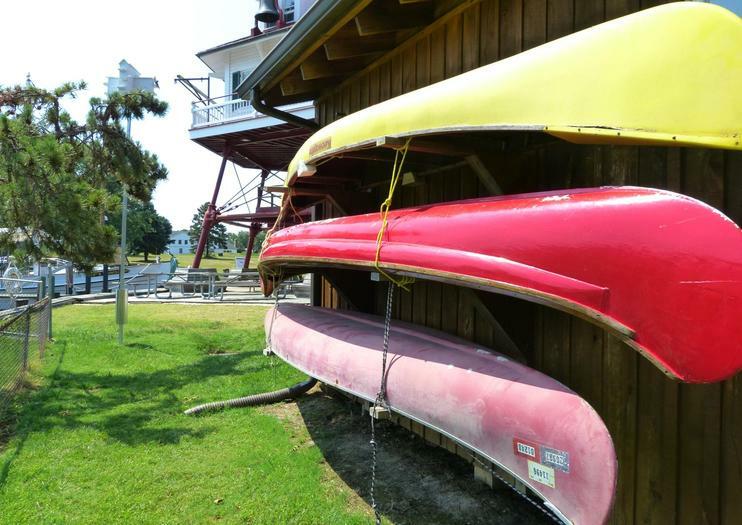 An expansive boardwalk, easy boat access and plenty of fresh seafood restaurants make this an idyllic Chesapeake Bay spot. An ancient lighthouse-turned museum provides a bit of historical context, and visitors can embark on harbor cruises or relax during one of the summer’s well-attended outdoor concerts. Art-loving tourists can check out the Annmarie Sculpture Garden and Arts Center, which is affiliated with the famed Smithsonian, then saddle up to the lively Tiki Bar, where tens of thousands of visitors gather each year to imbibe on delicious fruity cocktails with impressive water views. Solomons Island is located at the mouth of the Patuxent River in southern Calvert County, Maryland. It is about a 90-minute drive from Washington, D.C.